Summer is coming with lots of cool chilling shakes, Ice creams, and dessert. This is very tasty Oreo Shake Recipe which you can make it at home in 5 minutes. Chocolate shake is most favorite so try this easy instant Oreo Milkshake with Chocos energy. Subscribe our channel for new recipes today. 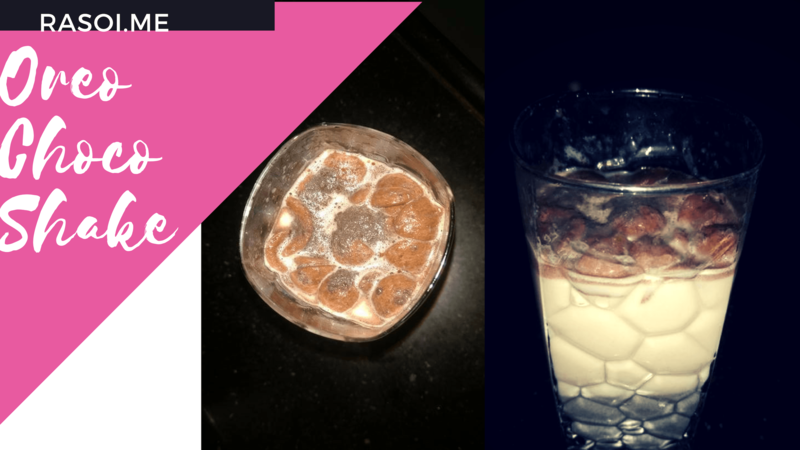 We take 1 cup cold milk add 2- 3 oreo biscuits and add 10- 15 chocos and grind it with hand blinder Add 2 ice cubes. Add the chocos in it and serve it . Its very easy and instant Oreo Chocos shake Recipe . In summer specially love this chilled healthy chocos milkshake. No Replies to "Oreo Chocos shake Recipe"